If you wish to cancel your order please contact us within 14 days of making your order, see clause 1.6. Please note that as a natural product leather does vary in colour from hide to hide and samples sent should be considered a guide only. Colour and texture variation is not considered a manufacturing fault. As leather is a unique and natural material, the imperfections you may see due to healed scars, barbwire knicks, and other natural blemishes, are simply characteristics of genuine leather. These Terms and Conditions of Trading apply to all consumer contracts between The Chesterfield Company and Our subcontractors (‘us/we/our’) and the Customer (‘you/your’) in relation to all sales of goods and services. The only items we offer from stock are those displayed in the clearance section, including ex-display models, cancelled orders and those from a photo-shoot. All other items are bespoke and therefore are ordered individually and custom built to your specifications. 1.1.3. We will endeavour to match the colour and texture of the fabric of your goods to the samples chosen as accurately as possible, but variations in both the colour and texture may occur. 1.1.4 Leather goods are made from quality natural leather and accordingly they may not be uniform in colour or texture. Only the finest hides are selected but they will show natural marks and scars on the hide. Some leathers will mellow with age and with exposure to sunlight and heat. 1.4.2. We will contact you as soon as possible to advise you of your estimated delivery date and at the time of invoice the balance of any monies due will be payable. If for any reason you fail to make payment as required by these terms and conditions, then with effect from the date of invoice, the balance of the price will bear interest at the rate of 3% for each month or part of a month until such time as the balance of the price has been paid in full. Our final prices listed online include VAT at the prevailing rate and delivery to mainland UK. We can accept payment by Credit/Debit card, Cheque, Cash or Bank Transfer. Cheques to be made payable to our parent company – Forest Sofa Ltd.
1.5.2. We will deliver your goods to any UK mainland address. Please note that there may be a surcharge for delivery to the Highlands (IV postcodes and above). All deliveries are completed subject to access. Our two man team will deliver to the room of your choice, unwrap the goods and ask you to inspect the goods before signing the delivery note. Our normal delivery teams will carry furniture up a maximum of two flights of stairs, higher deliveries will require lift access or alternative arrangements to be made by the customer. After production it can take a few days for your items to be collected by the carriers. Please note our carriers operate on a 10 working day delivery service from the date of collection and will contact you approximately 3 days before delivery to book in. Our usual deliveries are completed Monday-Friday. 1.5.3.We do not charge you the full price of the delivery but instead ask for a contribution of £85. 1.5.4. 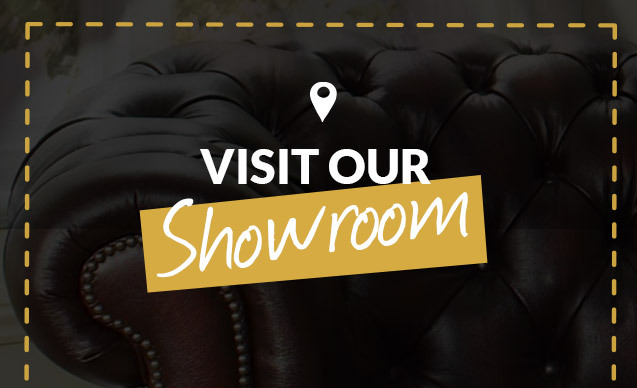 From time to time our suppliers may run out of stock in your chosen leather, in which case we will contact you immediately to arrange a new delivery date based on their supply estimates. 1.5.5. If we accidentally damage goods in the course of delivery, then our liability for that damage is limited to the repair, refund or replacement of the goods or the value thereof. To ensure your claim is not rejected please make a note of any damage on the signed delivery note. Time of delivery is not of the essence in these Terms and Conditions of Trading. We will not be liable for any direct or indirect loss of profits or other financial loss or damage suffered by you through any reasonable delay or delay due to unforeseen circumstances outside of the reasonable control of The Chesterfield Company or delay due to any reasonable rescheduling of delivery. Please note that our export deliveries are kerbside only and subject to access by a 40ft trailer. In the unlikely event of any damage or omissions this must be immediately written on the delivery note or your claim will be rejected. (‘bespoke’) to your requirements and your order was not placed following a showroom visit. Please note all stock items are stock sold as seen and are not subject to our usual returns policy. These items are reduced in price in line with their condition, please ask your sales person for more details of the individual stock item. 1.6.1.2. If you wish to cancel the order and have not seen the Goods in our showroom before placing your order, you must notify us of your wish to cancel no later than 14 days after delivery, in writing via email at contact@thechesterfieldcompany.com or by letter delivered to our showroom by recorded delivery. 1.6.1.4. If these conditions are satisfied, the refund will be paid to you within 14 days of the date of cancellation or proof of return whichever is later. Refunds are issued via the method of payment originally used for the purchase of the Goods. 1.6.2 If you cancel, you are obliged to take reasonable care of any Goods delivered to you, which must be kept in a new unused condition. Goods returned through our carriers must be made available for collection on the day booked by the carrier. 1.6.4. If you wish to return an eligible item for any reason this will incur a return delivery charge. This will be deducted from any monies due to be credited to you. This includes items returned because they did not fit in your home. A stool incurs a £60 transport charge; sofas (up to 4 seats), incurs a £225 transport charge. (UK Mainland Deliveries only) Export deliveries are likely to incur a larger charge. Orders acknowledged after 01/06/2017 and with a cancellation request logged in writing within 14 days of delivery are eligible for free return from UK mainland addresses. 1.6.5. 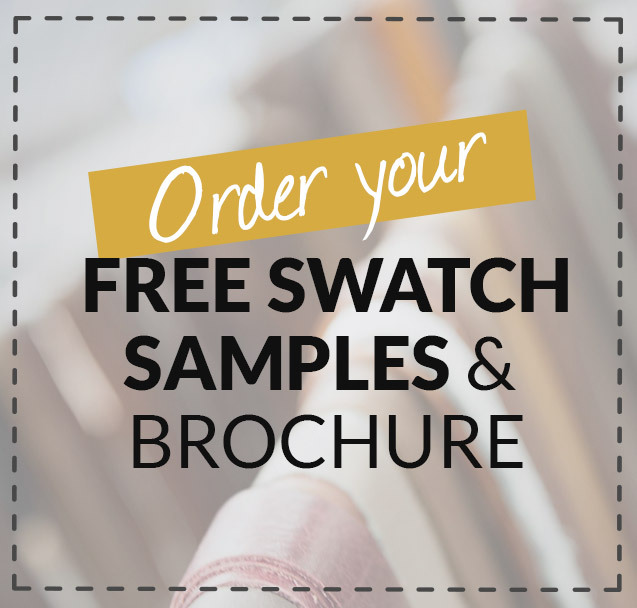 Please note that our cancellations/returns policy does not apply to export orders or bespoke items, this includes items ordered in a colour not offered in the standard swatch listed online. This does not affect your statutory rights. 1.7.2. For the purpose of this clause the guarantor is The Chesterfield Company. 1.7.3. All of our upholstered goods carry a 5 year guarantee against faulty workmanship and/or faulty materials in relation to wooden framework. All leather / fabric, components such as feet or zips and upholstering are guaranteed for 1 year. 1.7.5. The guarantee does not cover wear and tear, neglect, abuse or misuse of your goods, loss or damage (including rusting and corrosion) due to unreasonable exposure to water or weather; loss or damage due to fire, smoke, explosion, lightning, sunlight, infestation by animals or boring insects, or theft, or accidental damage or loss caused by a third party. 1.8.1. In the event of a claim under guarantee occurring please contact The Chesterfield Company in writing and we will advise you on how to proceed with your claim. All issues must be reported immediately on becoming apparent. The Chesterfield Company will not be liable for any issues that worsen due to a delay in reporting. 1.8.3. We will endeavour to repair the defective goods free of charge. If a repair is not possible you will be offered a replacement of similar or greater value in a similar style to your product. Only if a suitable replacement is not available will you be offered a refund. Chesterfield Company in writing, within 14 days of receiving your order. 1.9.5.7. We control and operate the web site from our offices within England, UK. Accordingly the laws of England & W ales govern claims relating to, including the use of, the web site and the materials contained therein. If you choose to access our website from outside of England and W ales you do so on your own initiative and you hereby agree that in the event of a dispute between The Chesterfield Company and you the laws of England and W ales will apply at all times. 1.10.1. The Chesterfield Company takes privacy seriously. W e process your personal data in accordance with the Data Protection Act 1998 (‘the Act’). 1.11.1. These Terms and Conditions of Trading are governed by and are to be construed in accordance with the laws of England and W ales. 1.11.3. The Chesterfield Company is a trading name of Forest Sofa Ltd.